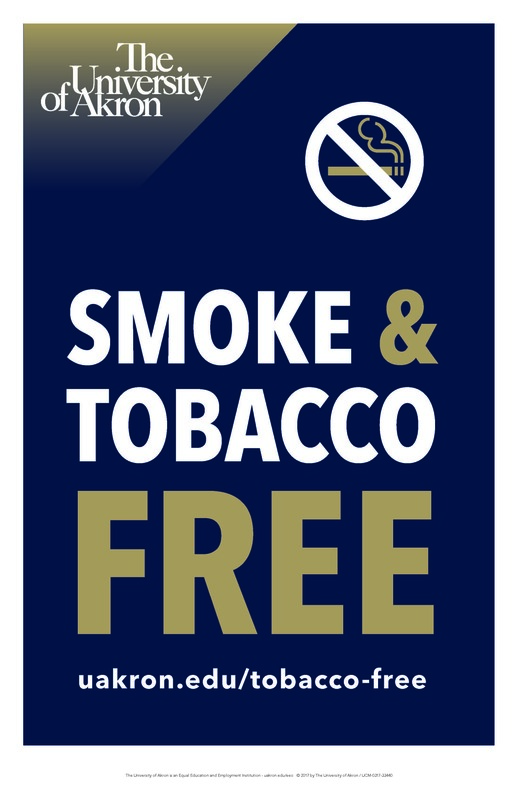 On July 1 of this year, we became a tobacco- and nicotine-free campus, in keeping with our goal of being a safe, healthy, clean, respectful and welcoming campus. For smokers, this page contains information about the new policy and the programs and services we have in place to help you quit. What’s out: The use of product that contains tobacco or nicotine, that is intended for human consumption, or is likely to be consumed, whether smoked, vaped, heated, chewed, absorbed, dissolved or ingested by any means including electronic devices. Exceptions are in place for controlled research or for educational, clinical or smoking-cessation programs. Who’s affected: All on campus, including (but not limited to) faculty, staff, students, visitors, vendors, consultants, contractors or volunteers. Locations affected: The use of tobacco products is prohibited on all University grounds, whether leased or owned and in vehicles parked on university grounds, and at all university sponsored events, regardless of the venue. To remain good neighbors with our community, students and employees of the University are requested to refrain from tobacco use on sidewalks and other areas adjacent to university property. Advertising: All tobacco industry and related company sponsorship or promotion of any event or activity affiliated with the university or located on university grounds is prohibited. Student Health Services offers the American Lung Association’s Freedom from Smoking program. The free program provides the skills, tools and support needed to successfully stop smoking. To sign up, visit the department in the Rec Center or call 330-972-7808. Student Health Services will write prescriptions for smoking cessation products (oral medications or nicotine replacement (gum/patches). A $15 visit charge would apply. Call 330-972-7808 to arrange for a visit. Medications and nicotine replacement will depend on the patient's health history and other evaluations by a healthcare provider. From the Summity County Public Health, this page contains a wealth of community resources available to those looking to quit smoking. Our IMPACT Employee Assistance & Work/Life Program offers a free Quit Center for employees. Learn more. Smoking-cessation medications are available through the University’s pharmacy benefit using our standard drug coverage under Health Care Reform (Affordable Care Act). The medications are set up with a $0.00 copayment for a 168-day supply. After the 168-day supply has run its course, the plan’s applicable copayment will apply. Our pharmacy vendor, CVS, offers a free nicotine dependency quiz and a quit hotline at 1-844-265-4321 (operated by the American Cancer Society’s Quit for Life Program). The use of tobacco and nicotine products is prohibited on all university grounds. All forms of vaping are prohibited in our residence halls. Is smoking in my car in a University parking lot prohibited? Yes. Smoking is prohibited on university grounds in vehicles. Politely remind them of the change. We expect compliance to improve over time, as more visitors and others become aware of the policy. Signs have been placed in parking lots frequented by visitors and on the entranceway to buildings. Here's a poster you can print and post.